We’re still blown away by the three big days of events for the love of cars, known as “Marques d’Elegance”. With all 3 days being outdoors, there wasn’t a care in the world as the weather cooperated. I had an amazing time on my recent personal vacation to Hawaii. But on my way back home I was already looking forward to be able to cover a spectacularly exceptional weekend with the help of James. Check out what went down and, of course, check out our photos from a weekend of luxury. 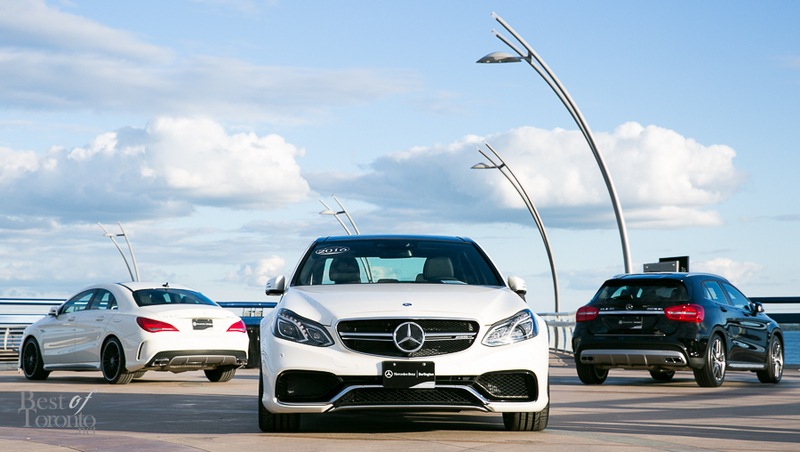 Over 400 lucky guests and sponsors attended “An Evening of Luxury” presented by Mercedes Benz Burlington entitled “An Evening of Luxury” with a beautiful lakeside view at Brant Street Pier. It took place in a beautiful tent with a view of the sky above, complete with live music, food, good selection of beverages. The second day of Marques d’Elegance was a massive event that pulled out all the stops to dazzle your senses! 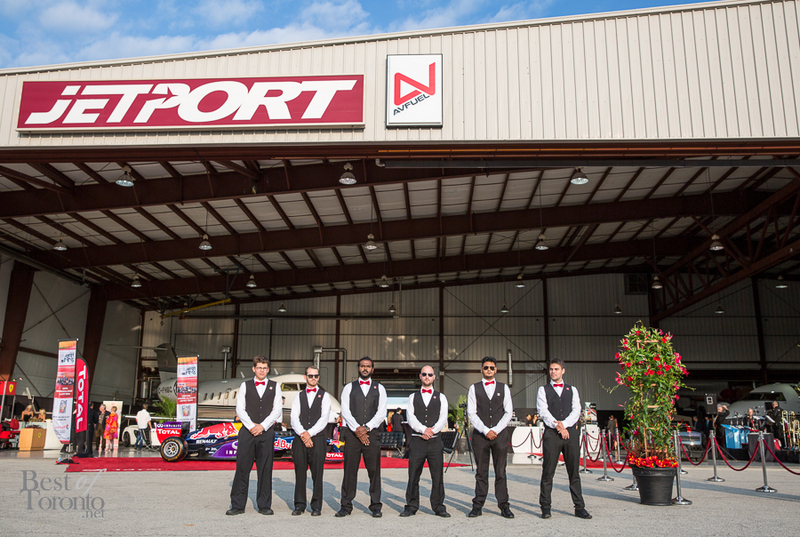 Held at Hamilton Airport’s Jetport, the large hanger was the scene for taking in the well-appointed private jets and 25 supercars on display. One included a Formula One car from Infiniti Red Bull Racing with Formula One Champion, Sebastian Vettel. As a bonus, Canadian crooner, Matt Dusk, was a surprise entertainer who fit perfectly with the band, making the classy soiree even more classy. Auction winners bid on helicopter rides on the spot. 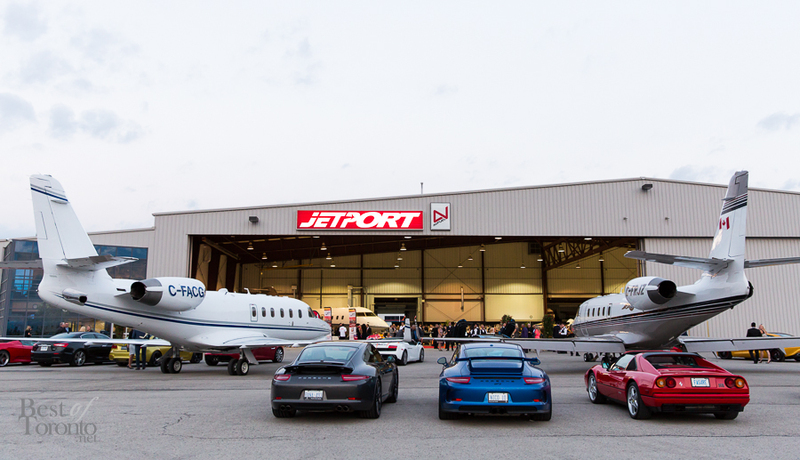 Supercars & Jets was such a scenic evening with the perfect summer weather and sunsets with a view of supercars and jets. Definitely one of the most memorable events we’ve ever attended. On Day Three we were back in Burlington, for a beautiful Sunday at Paletta Mansion. We got to see the Canadian debut of the 2016 McLaren 675LT, freshly delivered from the UK. It was an accessible family-friendly event with only about $20 admission for adults included access to a whopping 150 cars with over 650 car lovers in attendance. Food trucks and lakeside views were also there. 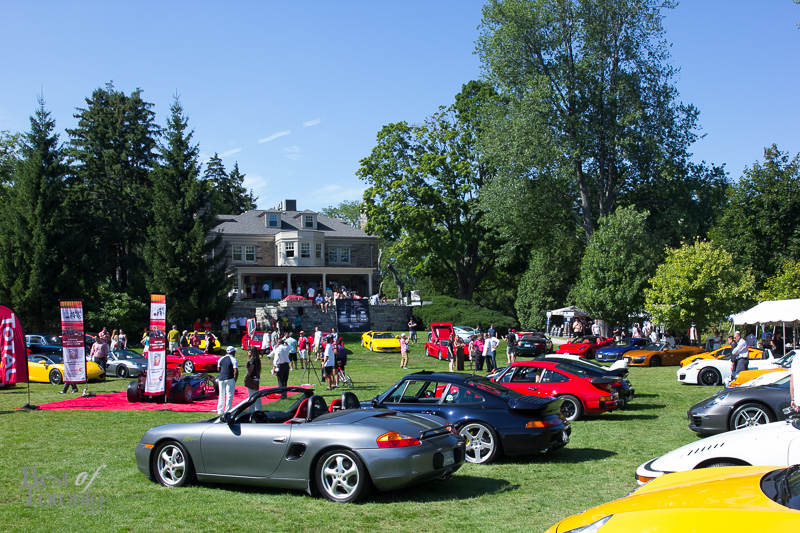 As glamorous as the luxurious event series was, all three days of the 4th annual Marques d’Elegance featured both silent and live auctions raising important funds for SickKids. We chatted with the president of Marques d’Elegance, Felice Cappellano. He told us they’re happy with the success of this year’s 4th annual iteration. While they are donating to SickKids this year, they are looking at other charities that can also benefit. And also, they will be looking at how they can make next year’s event even bigger and better. So be sure to stay tuned with us and MDE for news on Marques d’Elegance 2016. For more info on how to sponsor, purchase tickets or more visit www.marquesdelegance.ca.